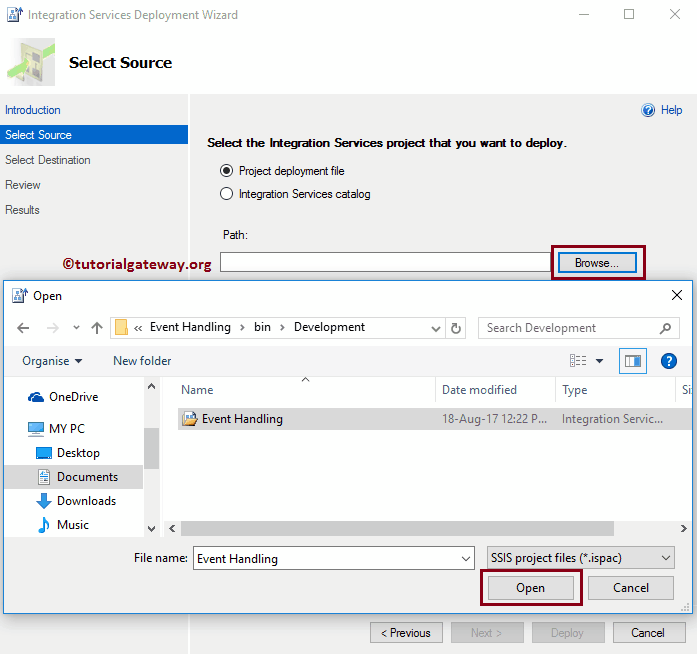 In this article we will show you the step by step approach to deploy SSIS package using SQL Server, or Integration Services Catalog. 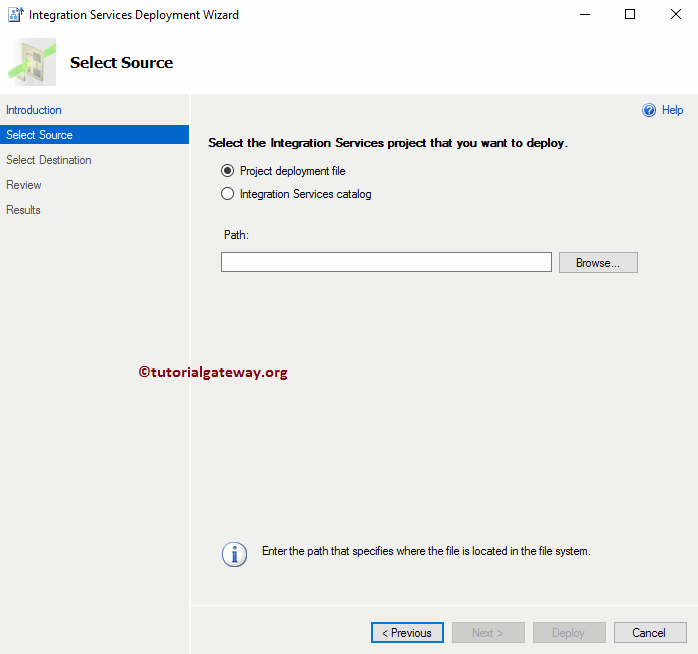 Let me open the SQL server Management Studio, and please navigate to Integration Services Catalog -> SSISDB -> Deploying Projects -> projects under the Object explorer will show the newly deployed project. 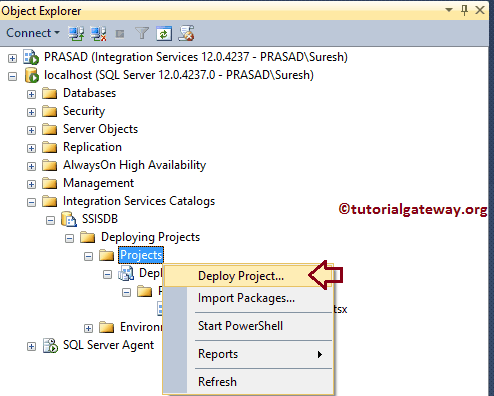 In order to Deploy SSIS Package Using SQL Server, right-click on the Projects folder, and select the Deploy Project.. option. 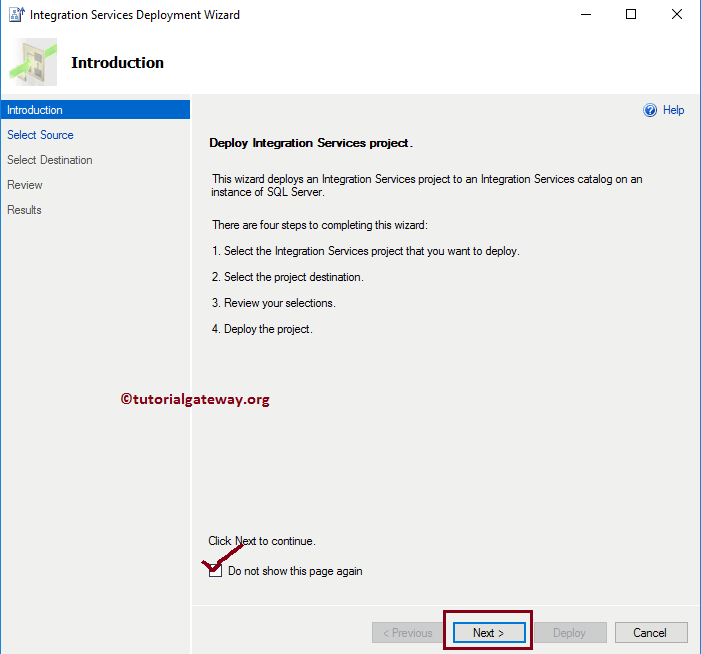 Once you select the Deploy Project.. option, a new window called Integration Services Deployment Wizard will be opened as we shown below. This is an introduction page, and by clicking the Do not Show this Page Again, you can avoid this page. 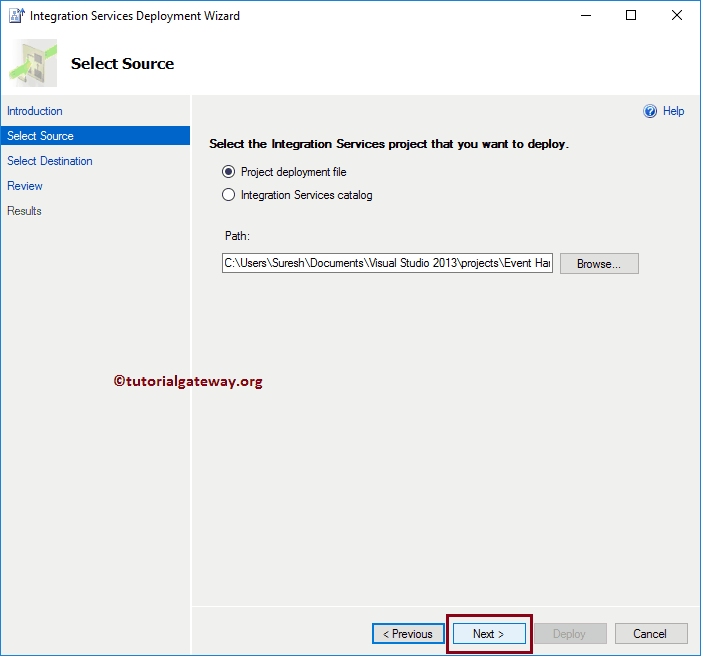 Project deployment file: Please specify the system path where the project file is located. 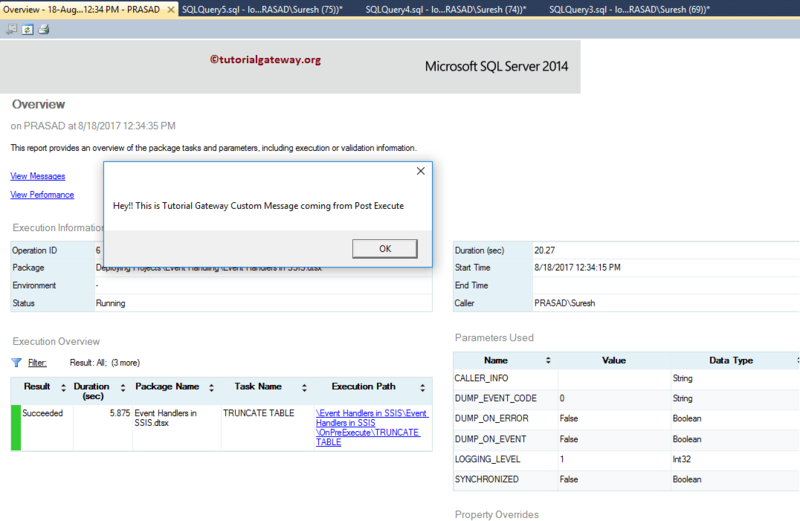 Server Name: Please specify the SQL Server instance. 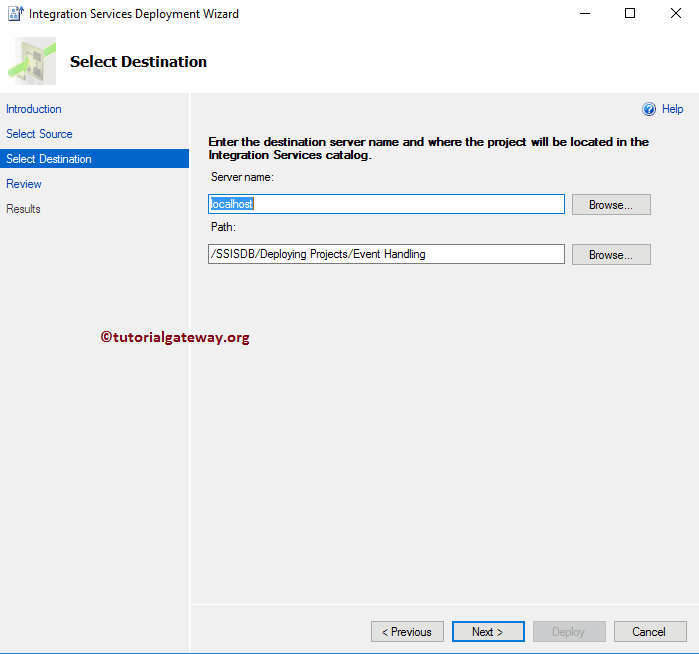 Here it will automatically selected the default instance localhost because we started this wizard using this instance. 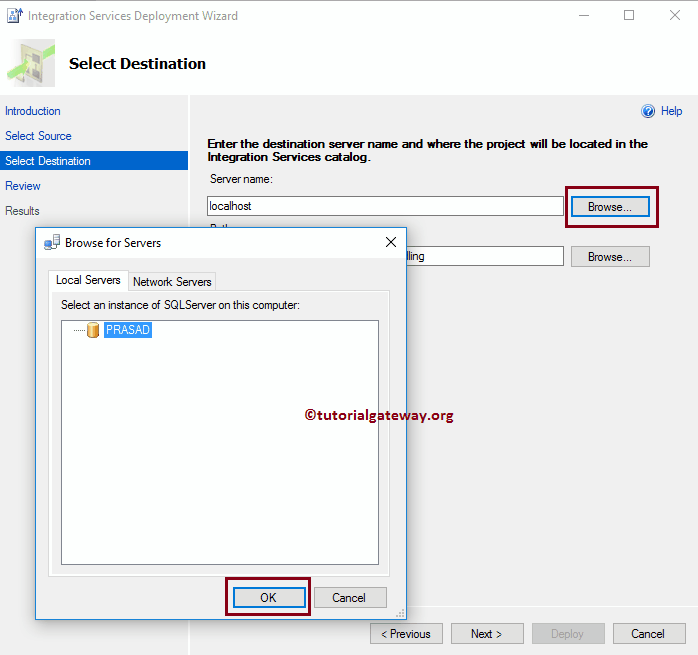 But you can change it to Named instance that you use to access Database. 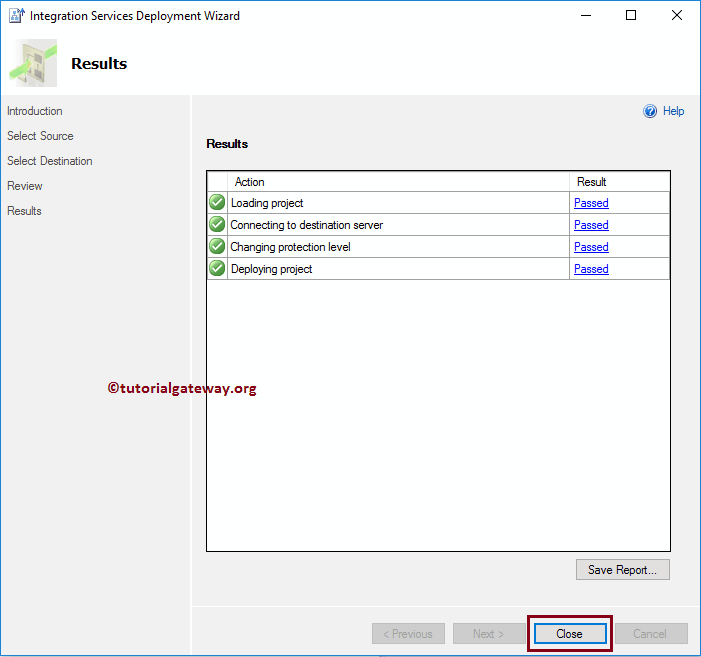 Path: You have to specify the Integration Service catalog path. 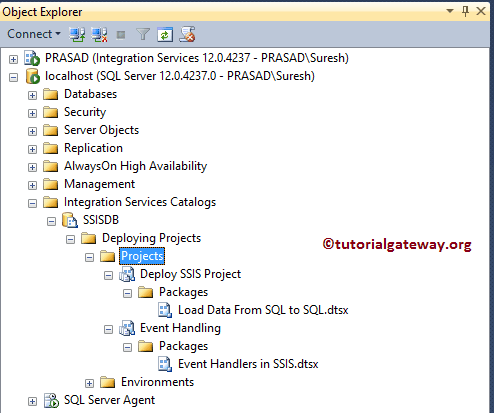 If you haven’t created a catalog then please refer Create SSIS Catalog article to understand the steps. Here, we are selecting the named instance PRASAD. Please cross check all the information, and if you find anything wrong then use the Previous button to go back. Results page will show the result. 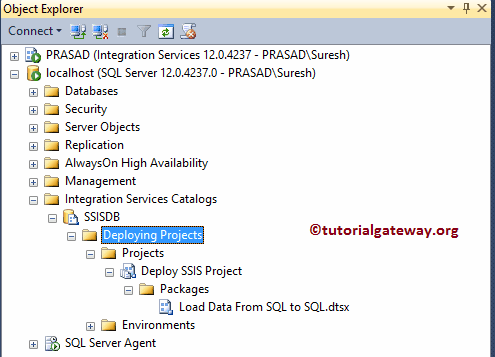 As you can see, we have successfully deploy SSIS package to Sql Server. TIP: We already explained the Execution process in our previous article. 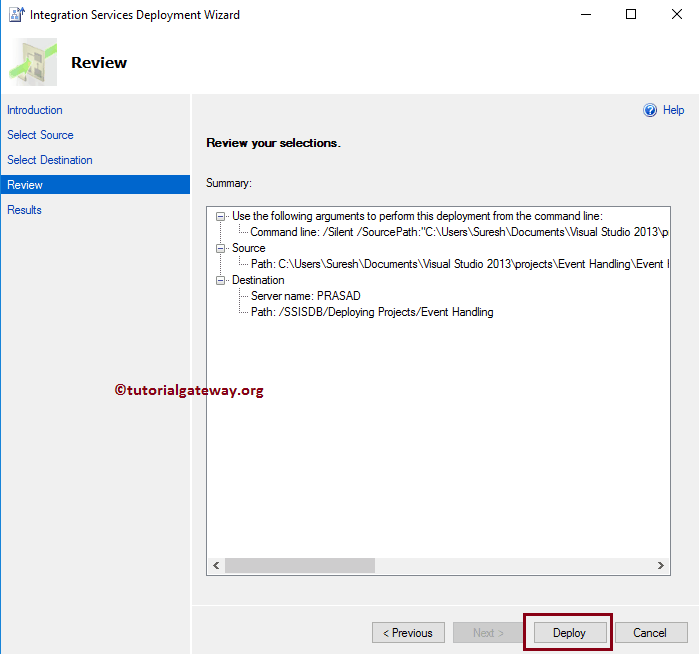 So, please refer Deploy SSIS Package using BIDS article to understand those steps.